Terry Gou, chairman of the worlds largest contract assembler of consumer electronics, including Apples iPhones, said Wednesday he intends to run for president of Taiwan, bringing his pro-business and China-friendly policies to what is expected to be a crowded field for next years election. 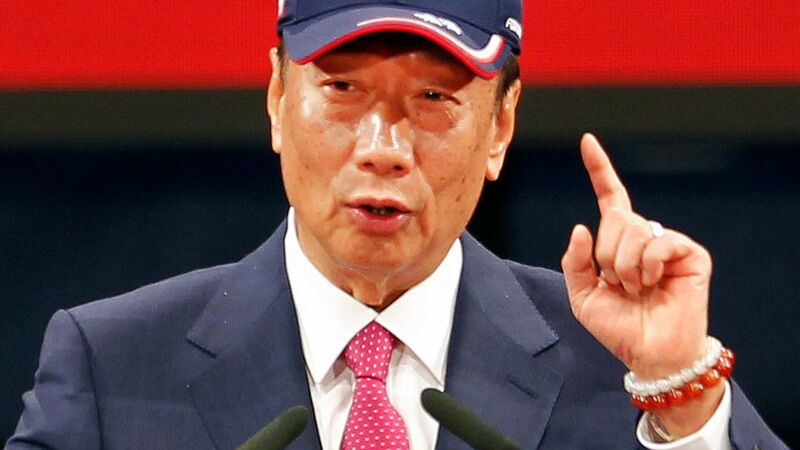 The Foxconn Technology chairman who also ranks among Taiwans richest people with a fortune estimated by Forbes at 7.8 billion is seeking the opposition Nationalist Partys nomination for the 2020 presidential race against an incumbent hampered by low public approval ratings. I am willing to participate in the primary election, Gou said at the party headquarters in Taipei. If I am not chosen, it means I didnt work hard enough. He told reporters earlier in the day he was inspired by the Chinese sea goddess Matsu to seek office. Three days ago Matsu came to me in a dream. She told me she hoped the people will have a better life. Peace, stability, economy and future — these . words are the script of my religion, Gou said. Gous candidacy would be the first for a Taiwan business mogul and may appeal to Taiwanese who want a different leadership style, said Liang Kuo-yuan, president of Polaris Research Institute, a think tank in Taipei. Middle class Taiwanese dissatisfied with stagnating incomes are most likely to vote for him, he said. He will value timeliness and if something has run its course, he will quit it, Liang said. We will see efficiency and control of costs. Gou is likely to face criticism from China skeptics in Taiwan over Foxconns 12 factories in nine Chinese cities, said Huang Kwei-bo, vice dean of the international affairs college at National Chengchi University in Taipei. China claims sovereignty over self-ruled Taiwan and has threatened to take it by force if it deems necessary. More than 80 percent of Taiwanese oppose unification with China, the island governments Mainland Affairs Council said in January. Despite that, the Nationalists favor closer ties with Beijing, largely as a way of recharging the islands high-tech economy through access to Chinas massive economy. Hes got some problems hes got to solve, especially his relations with China, both political and business, Huang said. China despises current President Tsai Ing-wen for refusing to endorse its claim to Taiwan as a part of Chinese territory and has cut all ties with her government while seeking to isolate it diplomatically. Recent months have seen China step up military drills around Taiwan in what is seen as an effort to intimidate the islands 23 million people into backing pro-China parties. Gou also has a reputation at Foxconn for being strict with employees, Huang said. His personality is sort of the same as (U.S. President Donald) Trump: What I say, is what goes, Huang said. Foxconn announced in 2017, to much fanfare, that it planned to invest 10 billion in Wisconsin and hire 13,000 people to build an LCD factory that could make screens for televisions and a variety of other devices. October 29, 2018 Comments Off on Beto O’Rourke Once Supported an El Paso Real Estate Deal. Barrio Residents Remember.